There’s no denying it anymore: fall is here! The air is crisp, the leaves are starting to change, college football is on, and the kids are back in school. 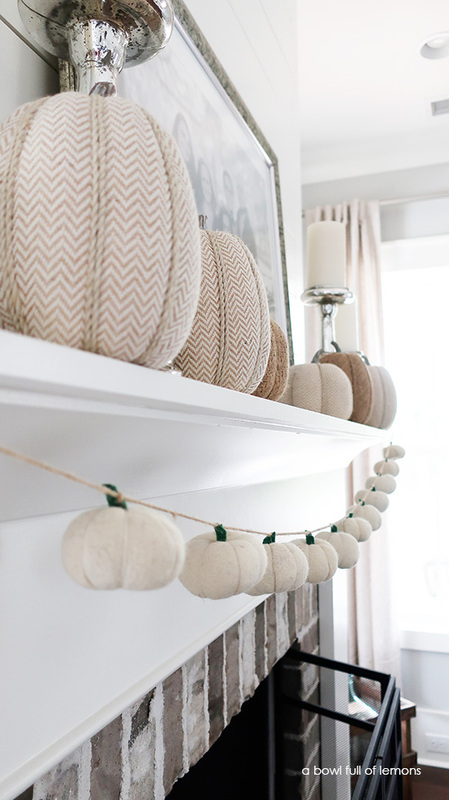 With the cooler weather, I find myself spending more time inside, so I’m taking some time to prepare my home for fall. That’s why I’m so excited to tell you about this offer from my friends at Grove Collaborative. Right now, you’ll get all of this for FREE! **Get all of this when you place your first order of $20 from Grove by using my link! Existing customers will receive FREE Grove walnut scrubber sponges. 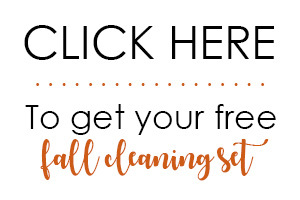 Plus, if you spend $39, you’ll also receive a free Grove cleaning caddy — perfect for keeping your supplies organized and within reach! Something about this season always inspires me to whip up an apple pie or a batch of pumpkin muffins. When that happens, Mrs. Meyer’s dish soap and the Grove replaceable head dish brush are perfect for a quick cleanup! Plus, they make a pretty sink-side display. A fresh towel is such an underrated way to add some seasonal vibes to your kitchen. Grove’s heirloom red kitchen towel adds a pop of fall color and can handle the toughest messes. Whether I’m hosting a casual bonfire or football party, fall is my favorite time of year to entertain. I always make sure my guest bathroom is stocked with fluffy hand towels, plenty of toilet paper, and of course a seasonal hand soap. I receive so many compliments on Mrs. Meyer’s fall fragrances (and guests always want to know where I got them!). 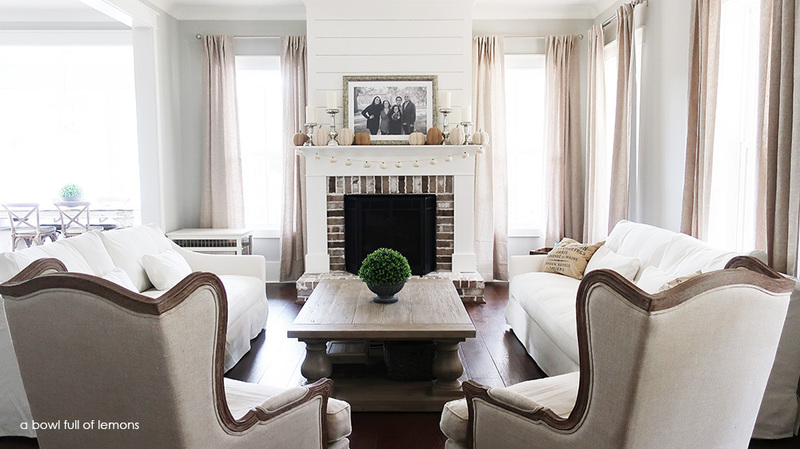 Brisk fall days are perfect for tackling outdoor tasks and preparing your home for winter. 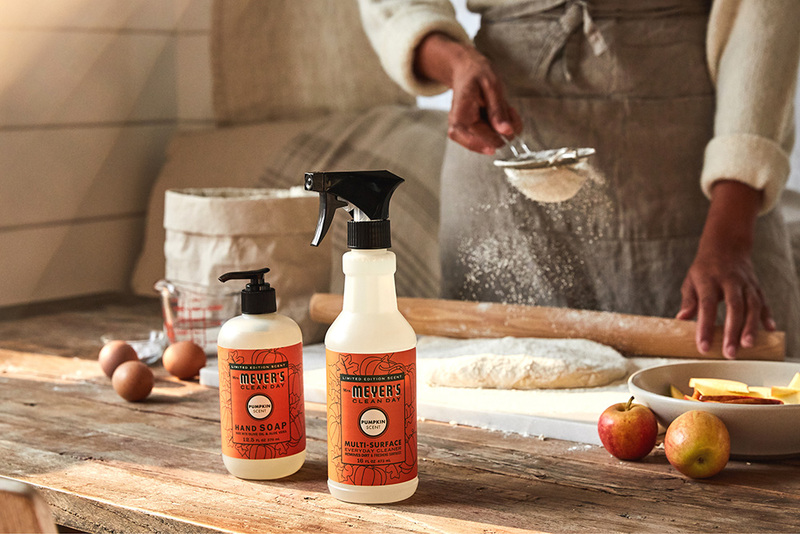 Mrs. Meyer’s multi-surface is the only cleaner you need for wiping down patio furniture, light fixtures, and metal railings. Plus, the bold scents give you a boost of energy while you’re cleaning! As the nights get cooler, it’s time to pull out your cozy fall bedding. To make your favorite blanket even softer and cozier, add a few drops of Grove’s lavender essential oil to Grove’s wool dryer balls before you toss them in the dryer! Switching over your closet? Before you store your summer clothes, give them a good wash with Method laundry detergent so they’re fresh for next season. I especially love their laundry packs because they’re so easy to use! Just like I reach for different clothes once the weather gets cooler, I also reach for different skincare products. I can’t live without Grove’s nourishing coconut skin superfood — it can be used as a face and body moisturizer, cuticle cream, and even eye makeup remover! The start of fall also means the start of cold and flu season! 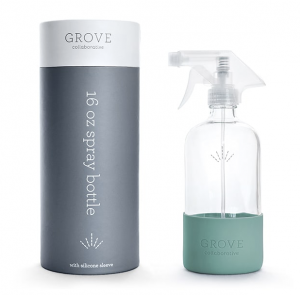 To keep the sniffles at bay, I always keep a Grove hydrating hand sanitizer spray in my purse or travel bag. Can you believe stores are already putting out Halloween decor? This year, I’m aiming for zero-waste with natural decor like pinecones, potted mums, and gourds. They look festive and don’t take up storage space in my garage! As a regular Grove Collaborative customer, I have several favorite products. One of my favorites is the Grove Collaborative glass bottle. It’s stylish yet functional. It allows me the flexibility to make my favorite homemade cleaners as well as use the Grove Collaborative cleaning concentrates. If you haven’t tried them yet, they are a great way to start with Grove. Tip to save: Once you have submitted your Grove order, you will be signed up for the free 60 day VIP trial. For 60 days, save even more with free shipping, free gifts, price matching, exclusive sales and personal service. You can cancel at anytime and still enjoy your free set.